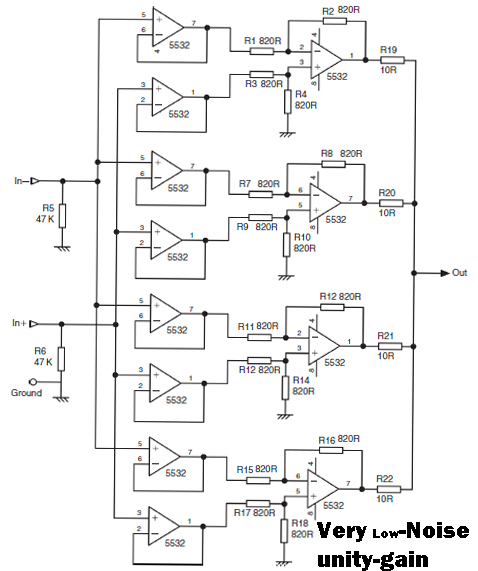 Home Input output signal Operational Amplifier Circuit Low-Noise operational amplifier. Low noise balanced input is can also call for the circuit schematic below , because it has a very small noise output and balanced on each input. The noise output is only 117.0 dBu, its very small maybe even not at all out noise. The schematic based on IC5532 , to maintain ic remain good and avoid damage, you should install heatsink in every IC. 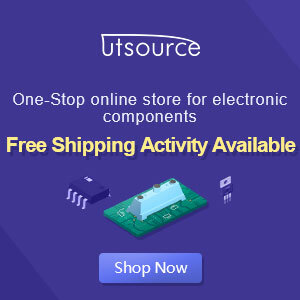 If the circuit is finished and ready to use, then connect circuit in final befor going out to other components . 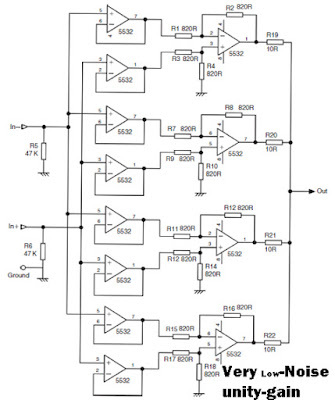 Because this circuit is also suitable as a buffer amplifier.